This collection of essays represent a wide range of perspectives on the work being done in digital classics. It honors the life of Allen Ross Scaife, who was instrumental in advancing digital scholarship in the field of classics. No humanists have moved more aggressively in the digital world than students of the Greco-Roman world but the first generation of digital classics has seen relatively superficial methods to address the problems of print culture. We are now beginning to see new intellectual practices for which new terms, eWissenschaft and eClassics, and a new cyberinfrastructure are emerging. The Web, though full of historical information, lacks a means of organizing that information, searching on it or visualizing it. The Historical Event Markup and Linking Project (Heml) was begun six years ago to explore how disparate historical materials on the Internet can be navigated and visualized, and for the past four years has used an XML data format defined in W3C Schemas. This format aims for conforming data that can be quickly parsed but provide a variety of facets on which to search for historical materials. While the project's graphical visualizations are in some respects successful, they have revealed some deficiencies in the underlying data format: it ought to provide for nested events, it ought to represent relations of causality between events and it ought to express the varieties of scholarly opinion about the attributes of events. By encoding the Heml data in the Resource Description Framework (RDF) it is possible to undertake these improvements. Moreover, an RDF-encoded Heml process provides easier access to CIDOC-CRM data into Heml events. Finally, a historical RDF language would simplify the discovery of references to historical events in digitized texts, thereby automating a growing network of historical information on the Web. Incunabula, or books printed before 1500, are extremely difficult and expensive to convert to digital form. The primary challenges arise from the use of non-standard typographical glyphs based on medieval handwriting to abbreviate words. Further difficulties are also posed by the practice of inconsistently marking word breaks at the end of lines and reducing or even eliminating spacing between some words. As such, these documents form a distinct genre of electronic document that poses unique challenges for conversion to digital form. From 2005-2007, the Preservation and Access Research and Development Program at the National Endowment for the Humanities funded a study to explore methods for digitizing these difficult texts. This paper describes some of the results of that project.The work described in this paper was completed by the Approaching the Problems of Digitizing Latin Incunables project funded by the National Endowment for the Humanities Division of Preservation and Access. The material in this paper is drawn from the project application, internal technical reports, grant project reports and the project description included in . A version of this paper will also be published as part of the project web site. Citation practice reflects a model of a scholarly domain. This paper first considers traditional citation practice in the humanities as a description of our subjects of study. It then describes work at the Center for Hellenic Studies on an architecture for digital scholarship that is explicitly based on this model, and proposes a machine-actionable but technologically independent notation for citing texts, the Canonical Text Services URN. In this article we argue for the necessity of a digital edition to most accurately represent the textual tradition of the Homeric epics and to better understand the oral performance tradition that created the poems. We demonstrate how such a digital criticism would differ from the traditional textual criticism as practiced for editions in print and suggest how a digital criticism might open new avenues for the interpretation of the poetry. In defining our needs and goals for a digital edition, we discuss what our project has in common with other digital editions of literary works, but how the oral, traditional nature of the poetry creates special requirements as well. In addition to elaborating the editorial approach for the project, we reaffirm the principles of collaboration, international standards, and open access that we have learned from Ross Scaife, the founder of the Stoa Consortium. Epigraphy as a discipline has evolved greatly over the centuries. Many epigraphists in the last 20 years have been investigating how to use digital technology to advance their research, but until the present decade, these undertakings were restrained by aspects of the technology. The late 1990s will be seen as a watershed moment in the transition from print-based to born-digital epigraphic publication. At present, the majority of new editions are still published solely in print, but by 2017 we believe this circumstance will change drastically. The history of epigraphy makes it quite clear that such transitions are natural to the discipline. The authors open by imagining one possible use of digital geographic techniques in the context of humanities research in 2017. They then outline the background to this vision, from early engagements in web-based mapping for the Classics to recent, fast-paced developments in web-based, collaborative geography. 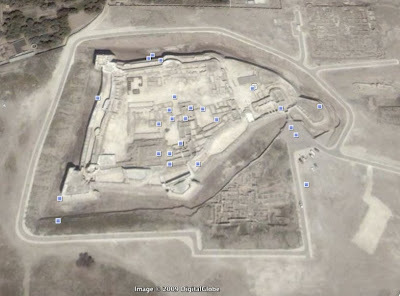 The article concludes with a description of their own Pleiades Project (http://pleiades.stoa.org), which gives scholars, students and enthusiasts worldwide the opportunity to use, create and share historical geographic information about the Greek and Roman World in digital form. We describe two different strategies for generating the morphology of Latin verbs. First, we hand-code default inheritance hierarchies in the KATR formalism, treating inﬂectional exponents as markings associated with the application of rules by which complex word forms are deduced from simpler roots or stems. The high degree of similarity among verbs of different conjugation classes allows us to formulate general rules; these general rules are, however, sometimes overridden by conjugation-speciﬁc rules. This approach allows linguists to gain an appreciation for the structure of verbs, gives teachers a foundation for organizing lessons in morphology, and provides students a technique for generating forms of any verb. Second, we start with a paradigm chart, then automatically remove common parts and redundant morphosyntactic property sets (columns), combine similar conjugations (rows), and generate the KATR theory that produces a complete table of forms for a set of lexemes. This second approach automatically determines principal parts (for Latin, we verify that there are four), groups inﬂection classes into super-classes, and builds full paradigm charts. Manual lexicography has produced extraordinary results for Greek and Latin, but it cannot in the immediate future provide for all texts the same level of coverage available for the most heavily studied materials. As we build a cyberinfrastructure for Classics in the future, we must explore the role that automatic methods can play within it. Using technologies inherited from the disciplines of computational linguistics and computer science, we can create a complement to these traditional reference works - a dynamic lexicon that presents statistical information about a word’s usage in context, including information about its sense distribution within various authors, genres and eras, and syntactic information as well. The 2009 [13th] edition of the Mesopotamian Directory, has just appeared at the website of the Oriental Institute. I see in passing that one can now subscribe to their Monthly e-Newsletter by filling in a form at the OI home page. If this is the E-Tablet they have been circulating, it is well worth filling in your name and address. The appearance of the Mesopotamian Directory makes me think about the other lists of scholars I use. Which is to say that generally speaking I don't use such directories, except under unusual circumstances. Googling almost always gives fast and reliable contact information for most people - even for some people not associated closely with institutions which tabulate the coordinates of their affiliates. I also use the online directories of scholarly and professional societies, which I won't list here because on the whole they are restricted to access by their members. Are there other important directories I'm missing? What do you use to find people and places in your own disciplines? Reply in the comments below if you can. 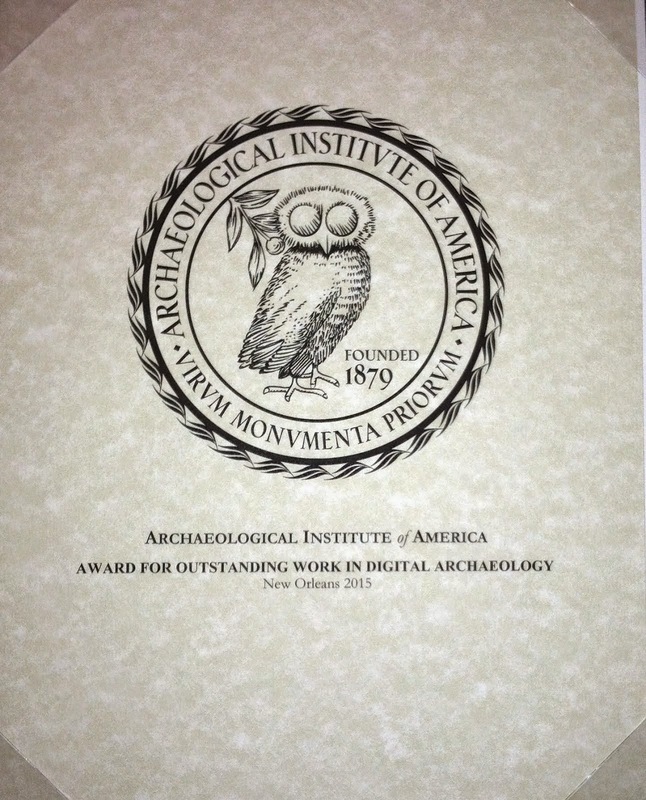 First prize ($500) was awarded to the Abzu web site, led by Charles E. Jones, Head Librarian at the Institute for the Study of the Ancient World, New York University and Research Associate, The Oriental Institute, University of Chicago. Launched in 1994, Abzu collects and manages open access scholarly material relating to the ancient Near East and Mediterranean world, including the rich corpus of ETANA Core Texts, which are available for free for noncommercial teaching and research. In addition to standard search functions, Abzu provides several different ways to track recently entered material, such as news feeds, a clip blog and a widget. It also allows for the re-presentation and re-formatting of material indexed in it in the continuing series "AWOL - The Ancient World Online", beginning at the Ancient World Bloggers Group Blog. Abzu is self sustaining with selection and editorial control having been integrated into the workflows of the editor at the Research Archives, Oriental Institute, the Blegen Library at the American School of Classical Studies at Athens, and at the Library of the Institute for the Study of the Ancient World. Second prize ($200 in books, co-sponsored by David Brown Book Company) was awarded to the Badè Museum of Archaeology web site, led by Aaron Brody (Pacific School of Religion). The Badè Museum’s web site was recently overhauled to allow for virtual outreach to a limitless audience, helping educate beyond the brick-and-mortar walls of the Museum's galleries, and bringing transparency to the Museum’s holdings. The web site provides access to reusable content from archaeological excavations at Tell en-Nasbeh, conducted by WF Bade in the 1920s and 1930s under the auspices of Pacific School of Religion. The new web site provides digital versions of the contents in the Museum’s exhibits, overviews of research projects and facilitates the ordering of traveling exhibit materials. By openly licensing all content with Creative Commons licenses, the Bade team has ensured that these free and open resources can be downloaded for reuse by anyone. The photographs and short movies are of particular interest, and Aaron informs us that many more resources will be coming on line in the near future. The new blog of The Council of Editors of Learned Journals has the feel of one to be watching. Not very many journals in Ancient Studies seem to be members. I wonder why not? Lens allows users to search the University of Chicago library catalog and other sources simultaneously using Aquabrowser, a search engine developed by Medialab. Lens expands your search into other Library resources including electronic database information, e-journals list, archives and manuscripts finding aids, tables of contents, summaries, and the Library's website. Give it a try. It's great! What are we looking at, and when was the major period of occupation? Post your attempts at an answer in the comments, and the first right answer gets to host ‘When on Google Earth #3! 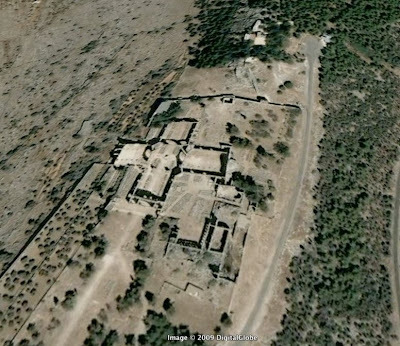 Over at Electric Archaeology Shawn has initiated a game called "When on Google Earth". As the winner of round one, I get to host ‘When on Google Earth #2.